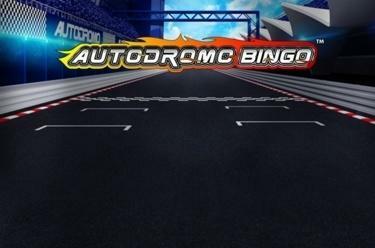 Play Autodromo Bingo online for free now! A Bingo variant with a need for speed! Autodromo Bingo is all about getting the right combination of numbers on your cards. If you do well, you’ll not only pocket instant wins, but also have the chance to enjoy the thrilling Bonus Game. In this special game, you can select the racing car that you think will finish first. The better the final position of your car, the higher your bonus winnings. This game shows clearly how exciting Bingo can be!